Needle diseases of Pinus radiata caused by Phytophthora pluvialis and Phythophthora kernoviae have been increasingly recognised since the discovery of red needle cast in 2008. There is a need for rapid diagnostic screening of numerous samples, but sample processing time, equipment and staff availability limit the throughput and utilisation of diagnostic qPCR analysis in the research environment. Automated and high-throughput capable DNA extraction and real-time PCR provides the opportunity to expand the capacity of research trial analysis and a potential alternative to laborious isolation and plating but must be thoroughly validated before results can be used with confidence. 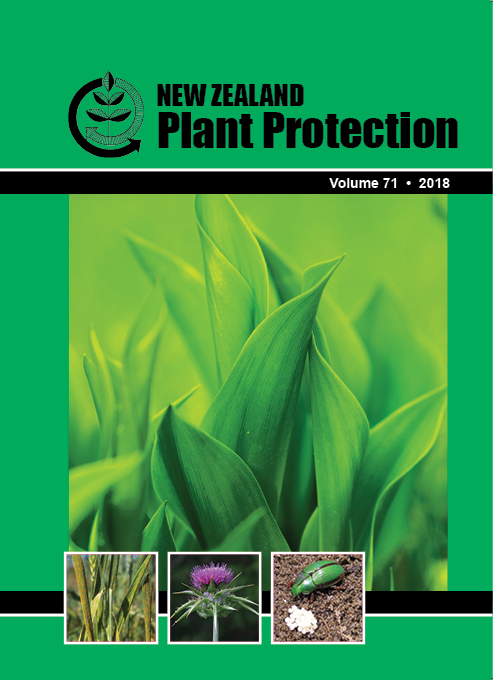 The use of a high-throughput format for qPCR assays targeting Phytophthora pluvialis and Phythophthora kernoviae was validated on a robotic platform, proving to be consistently more sensitive than isolation, achieving qPCR detection down to 1% diluted inoculated material for Phytophthora kernoviae and 10% for Phytophthora pluvialis. Plating results yielded a 60% detection rate of Phythophthora pluvialis in inoculated needle fragments, whereas qPCR yielded a 100% detection on the same material. High throughout automated qPCR can therefore be utilised with confidence in forest pathology research trial analyses in future.